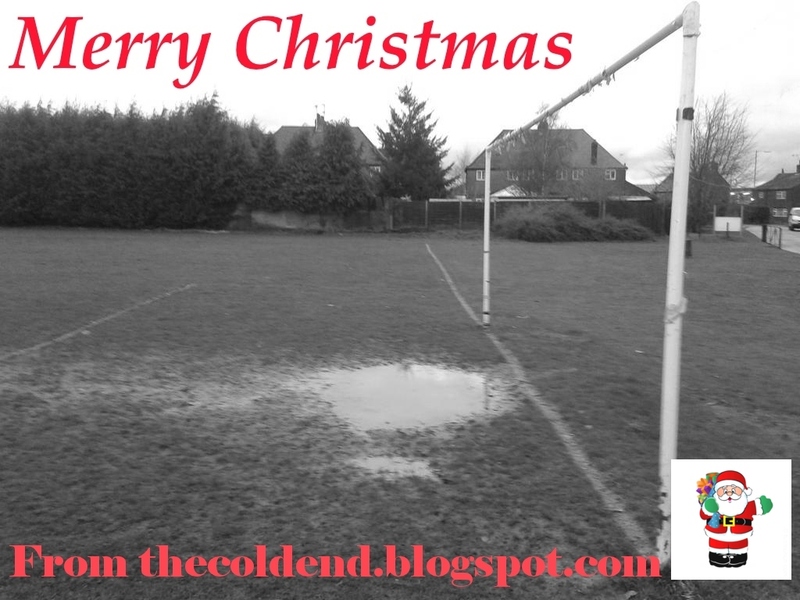 TheColdEnd would like to wish everyone that reads the blog a very Happy Christmas and thank you for your continued support throughout 2012 when Enfield Town famously gained promotion to the Ryman Premier Division. The Town are due to visit Leiston's Victory Road on Boxing Day for a Ryman Premier Division game which kicks off at 1pm. At present @leistonfc on Twitter are reporting the pitch is saturated due to all of the rain that has been falling. If it's windy and it stops raining the game could go ahead. A pitch inspection is set for early on Boxing Day morning. Stay tuned to twitter for information.